01/04/2019 03/09/2017 by Andy Z. Okay, so you want to play some Steam games on your new Chromebook. Yes. But it’s not for everyone. Before you fill your thoughts with doubt, let me tell you why exactly this may not work for you, so you can save time before you get knuckle-deep into this tutorial and get stuck. Last updated: 1/4/19. This guide will constantly be updated to provide the most accurate information possible. If you discover something that requires an update, please leave a comment. So, why would Steam games not work on a Chromebook? We’ll cover both these points in detail in just a bit. This guide covers one main method and then offers multiple alternatives to get Steam up and running. If you happen to actually go through all the methods and still can’t get it running, some other technical issue is probably at bay. But first, we need to make sure your laptop meets the minimum requirements to get this working. If you have any of the following reasons, you won’t be able to play Steam games on your Chromebook. You may be able to install Steam, but you won’t be able to play anything. Your Chromebook must meet some bare minimum basic requirements in order to run Steam and launch it. Here’s a list of 3 reasons that you should double-check before continuing. If you or your laptop matches any of these reasons, you should just stop now or consider returning your laptop and getting one that can actually run Steam. If your laptop is ARM-based, which is a CPU commonly found in many Samsung-based Chromebooks, it probably won’t work. Though, Samsung has been pushing out various laptops that utilize Intel processors in their newer Chromebooks. This guide only works for Intel-based Chromebooks, such as the majority of Acer, HP, Dell, and Lenovo laptops. If you’re using a Samsung Chromebook such as the Samsung 2 (or original Samsung Chromebook), this won’t work. Sorry. Your laptop needs to have an Intel CPU to install Linux, which will then allow us to install Steam. Be wary though, some Intel chipsets don’t work as well. But the majority of them should work. If you get issues, it’s probably your processor. Sorry again. By default, Chrome OS doesn’t allow third-party software to be installed, which is why we need to bypass this by installing such software with a different OS. More on this later. If you have a model with a questionable setup, you may not be able to play any Steam games because it’s simply too weak. This is the case with any computer whether it’s Windows or Chrome OS. If your computer doesn’t have the necessary hardware performance, it’ll stutter, lag, or simply freeze up and stall. This is entirely dependent on the games you want to play from the Steam library. If you just want to play basic games that don’t require too much hardware, you’ll probably be able to run them without any issue. Games like Minecraft and RuneScape run without a hitch. Even though they’re not Steam games, it just shows that Chromebooks are capable of running such games. However, if you’re planning to play all the latest and newest games, forget it. It’s not going to work your laptop no matter what because they simply don’t have the power to run demanding games on ultra settings. Most models only have 2-4GB of RAM and about 16-32GB of storage with an Intel Celeron Dual Core processor and Intel HD graphics. The main bottleneck is the integrated graphics card- also known as the coprocessor. Intel HD graphics aren’t bad and can handle some of the newer games with ease, which is surprising. But it’s still not a dedicated card and therefore will slow down the performance of the computer. So, depending on what you’re looking to play, you’ll have to see if the game is runnable by your Chromebook. Check out the game’s recommended and minimum system requirement on its store page and see if your particular laptop fulfills them. You should be able to run many popular games like Counter-Strike and Portal with full multiplayer capabilities. But don’t expect to run stuff like Call of Duty or Paladins, as those games are much more demanding. It really depends on what you plan to play. I’ll go ahead and say it. You need some level of technical experience to get this working. Although the main reason you’re reading this guide is to get Steam up and running on your Chromebook, it’s not always straightforward and as easy as it seems. Settings change. Steam updates. Chrome OS updates. Linux distros vary. The possibilities of a technical issue or error arising are obviously going to happen, and you need to have the know-how or just be ready to do your own research on hacking into your system to get things running. Again, it’s not always as straightforward as following this guide. There’ll be steps and points where you’ll need to do a Google search for a specific line of code, a specific setting, or a specific something if you get stuck. I’ve tried to write this guide in a way that’ll work for the majority of them, but it won’t work for all as they all function differently even though they run the same copy of Chrome OS (assuming they’re all on the same version). It’s weird. Something that works for one Chromebook won’t work for another. That’s where you come in and you’ll have to do some research to figure it out. Feel free to contribute to this tutorial by telling us some tips in the comments to help out a fellow Chromie. You can get Steam on your Chromebook and play some of your favorite games. Just follow the steps. Okay, so if you’ve read all 3 reasons and you’re ready to get Steam on your Chromebook, let’s go over how we’ll achieve this. First, we’ll cover why you need to do some hacking to get Steam running in the first place, and we’ll go over an overview of what we’re doing and why. Chromebooks run Chrome OS, which isn’t compatible with java or a host of other third-party apps and applications you’re used to on Windows or Mac. This is why we need to install a copy of Linux onto the same laptop since it’ll allow us to install whatever we want, in this case, Steam and Steam games. To do this, we’ll need to have two different operating systems on the same Chromebook. This is also known as dual-booting in the computer world. Chromebooks have the ability to run multiple operating systems and you can easily switch between them using hotkeys, which I’ll cover later in this guide. To have two operating systems, we’ll need to enable Developer Mode, which is basically a mode that allows you to install and run applications that the default Chrome OS won’t allow you to do. It’s like turning off the “firewall” and getting into the core files of Chrome OS. I should clarify though that it’ll act like two separate operating systems, but it’s not. We’ll be using Crouton, which basically hosts a second OS within Chrome OS. The benefit is that there’s no lag because the Linux OS is run natively within Chrome OS. No RAM splitting and no virtualization. If you have a newer Chromebook with Linux Beta, you can skip the whole Linux installation process. Just jump straight to the Steam installation. You’ll need Linux in order to install Steam since Chrome OS doesn’t allow third-party app support. But for simplicity’s sake, we’ll think of them as two “separate” operating systems. Doing so will obviously open your laptop up to security issues and other file corruptions. This is just a risk you’ll have to take if you want to install stuff like Steam. The nice thing about Chromebook is that they’re easy to self-repair back to the factory default state. If you screw something up, you can always easily reset it to back to how it was when it was brand new. This means you can really do whatever you want to your laptop and you can always restore it. Restoring is also a cinch. It’s fast, easy, and doesn’t require any messy license keys like Windows. You’ll need to stay in Developer Mode if you want to play Steam games. This is the only way to have Linux and Chrome OS both running. So that means after you’re done with this tutorial and everything works, you’ll need to keep your laptop in the current state. Reverting to default mode will turn the “firewall” back on and disable your access to Linux, which means no access to Steam. This is just a consequence of the process of getting Steam on your Chromebook. You shouldn’t feel insecure with Developer Mode enabled, as it’s pretty safe if you keep all your files updated and don’t do anything that may result in a security breach. Linux itself is safe. Chrome OS is safe. You shouldn’t have any issues. Are you ready? Things are about to get Steamy. Ready to get Steam up and running? Let’s get started. Okay, enough talk. Let’s get started with the actual guide. Here’s how to get Steam on your Chromebook. A note of warning: I’ve simplified these steps to make it easier to follow and omitted some of the miscellaneous information in Step 3. For example, if you have a touchscreen and want to use it in Linux, you’ll need to type in a different command line. I’ve left notes here and there throughout the steps that give you a heads up that if you want any additional functions, you’ll need to do your own research and look it up. The reason for doing this is because many people get confused with so many steps and information on the screen, so I just trimmed the fat and left the core steps. Any additional upgrades will require you to take the initiative and find out how to do it for yourself. As it stands now, simply following this guide will work for a basic setup to get Steam going. So if you’re lazy or unconfident, just do the following and you’ll be fine. This is the first thing you’ll need to do. As we’ve discussed before, you may have to restore your Chromebook if you screw something up, so I suggest backing everything up before continuing. You should do this first because this step will literally wipe everything from your hard disk in one fell swoop! There’s no going back now. So back up your stuff! Turning on Developer Mode is easy and I wrote a detailed guide on that already. Just go here and follow the steps to enable it, then come back here when you’re done. If this is your first time enabling it, I suggest you read the whole guide over there. If you’ve done this before, just know your precautions and enable it. Get into Recovery Mode by holding “Esc + Refresh” (the refresh key is the 4th key on the top row) keys, and then pressing the Power button. Press Enter to turn off OS Verification when the warning prompts you. Your laptop will beep at you. This is normal. Press “Ctrl + D”, or just wait for the beeping to stop and your Chromebook will begin the reboot process. It’ll take about 15 minutes for it to fully boot into Developer Mode. You’re now in developer mode. Crouton is basically an installer that’ll let us easily install a copy of the Linux environment for your Chromebook. Go ahead and download Crouton by visiting the GitHub here. You can read about it on the same page, as it contains a lot of information about it as well as useful FAQs. I suggest you skim through it as it answers a lot of questions about how it works and modifiers you can add to your installation of Crouton. For example, if you have a touchscreen, you’ll need to add arguments to your command line. This is something that you’ll need to look up how to do, but it’s easy. Okay, so now that you’ve downloaded Croton, you can install a copy of Linux on your Chromebook. Doing this is easy with the command prompt. Don’t worry, I’ll cover the exact code you’ll have to type in. But be sure you’re typing the following lines in exactly as you seem them here, because one little character mistake will throw you an error. If that happens, don’t sweat. It’ll prompt you to try again. That’s how command lines work. And be sure to not type any of the quotations, but type them with all the other symbols, since it matters. Also, casing matters. If you type a command with the improper case, you’ll get an error. So be sure to type the commands exactly as shown. If something isn’t working for you, just leave a comment and I’ll try to help you out ASAP. After you press that combination, you’ll see a window pop up prompting you to type in a command. Type “shell” and press Enter. This installs the Xfce version of Linux. You can also install other distros, like KDE which is more “pretty” but is more bloated. Xfce is a basic bare-bones version of Linux that’s fast and easy to use. If you want to use KDE instead, replace “xfce” with “kde” above. That’s what I’ll stick with for this guide to keep it straightforward and simple. If you want to install another distro or desktop environment (or if you get stuck on this step), I’ve written a complete tutorial on how to install Linux on a Chromebook you can refer to. It goes over the process step-by-step and covers how exactly you can install the other desktop environments instead of Xfce. Some versions have more eye-candy. Some have tons of features that make it almost like Windows. Others are built for performance and speed. There are dozens of distros you can install if you wish. Linux will now install and it’ll take a bit. Have a cookie. Take a break. Browse the Steam library in anticipation. Warning: You’ll be prompted to create a password. Make sure you write this down. There’s no way to recover it and you’ll need it to install Steam and other applications on your copy of Linux. If you forget it, you’ll have to start over. So don’t forget it. Write it down. After it’s done installing, we’ll have to launch it. “sudo startxfce4” and press Enter. It’ll load up Linux Xfce (or KDE) and it’ll wait for your input. You’re now in Linux. Right-click the desktop and open up the Internet browser. Go to Steam’s website, click the big download button, and download it. While it’s downloading, you can customize your new desktop to suit how you like it. Go ahead and play around with the settings and learn about where everything is. Steam will take a while to download, so you can mess around for a bit with Linux, or have another cookie. Or continue gawking at the Steam library. Steam should be downloaded onto your laptop and ready to install. It should’ve downloaded and saved as a debian (.deb) file. Next, you’ll have to install some additional software to run it. Find and open the Terminal Emulator. It’s probably tucked away in the menus somewhere. When you find it, install the Ubuntu Software Center, which is basically like a marketplace of add-ons for your system. This will fetch and download, then install the Software Center. It’ll prompt you to type in a password that you created earlier, so go ahead and type it in before you install it. You can’t install it without the root admin password, so that’s’ why it’s important to remember it and write it down. Did you forget it? You’ll have to restore your Chromebook to factory settings and start over. You can now finally install Steam. Find the .deb file saved in your downloads folder and open it up. It’ll now let you install it and will prompt you for your password again. Steam should install fairly quickly and without issue, as it’s compatible with Linux devices from the start. While it’s installing, you can look over the next few steps to save yourself some time and anticipation. Can’t open your .deb file? Install GDebi from the Software Center. Then right-click on the .deb file and use GDebi to install it. Then hit Tab and select “Yes” and hit Enter. Steam will then install and update automatically. After it’s done installing, open Steam. It’ll ask for your account details. Type them in and log into Steam and it’ll launch up on your laptop. There you go. You’ve officially installed Steam on your Chromebook. Go ahead and install your games, browse the store for new games, or chat with your friends. You now have a working copy of Steam on Chrome OS. Once you have everything set up and going the way you like, you should make it easier the next time you use it. Whenever something goes wrong due to an update, you’ll have to follow all these steps again unless you make a backup. I suggest you make one so you can jump here super fast. Press “Ctrl + Alt + T” and then type “shell” and press Enter. Type in “sudo edit-chroot -b trusty” and press Enter. This will make a backup of your current Crouton setup for easy installation next time. You should be prepared for it because updates mess things up constantly. Open up the Applications menu and find the File Manager. Press “Ctrl + H” and it’ll unhide all the hidden folders and files. Go to “.local”, “share”, “Steam” and then copy and paste the “SteamApps” folder to your drive. This will save all your games locally in case your Chromebook needs to be reset. There are two other methods to get this to work if the above isn’t working for you. 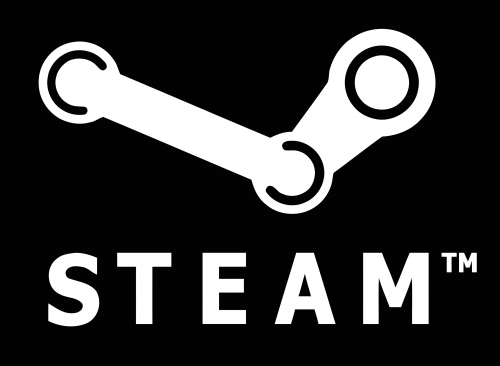 The Ubuntu App Store makes it easy to install Steam on your Linux distro. This method may work for you instead of the main method doesn’t work. It’s actually much easier than it, so give it a try. Keep in mind that you’ll need a Chromebook with an Intel CPU for this to work. This method is a lot easier and may just work for you if you can’t get Steam to install on your Chromebook using the method above, or if Steam isn’t working. This does require a little more work compared to the previous method. But if you’re a Linux user and just prefer it, this method should work with no problems. With Crossover for Android, you can remotely access your Windows PC on your Chromebook and run Steam (via CodeWeavers). CrossOver is an app that lets you run almost any Windows app on your Chromebook. You’ll need an Intel-based CPU for this to work, just like any other of the methods on here. From there, you can remotely control your Windows computer from your Chromebook. You’re not actually running Steam, but rather emulating it via remote connection. Basically, you’re controlling your Windows computer from your Chromebook and making it play Steam games while viewing it through your Chromebook’s screen. You need to have both devices powered on to make this work. You can also do this using the Chrome Remote Desktop app, which is also a good option if CrossOver doesn’t work. It’s an app for Chrome OS which basically lets you form a remote link to a remote host computer and view it from your laptop. You can grab the Chrome Remote Desktop app here, and for your convenience, I also wrote on setting up the Chrome Remote Desktop viewer. Woot. Keep in mind that using remote desktop software depends on many factors. Internet speed and your hardware specs both affect the quality and speed of your gameplay experience. For most laptops, it should work just fine. If you have a newer one with more power, you should have a pleasant gaming experience. Get the Steam app to keep in touch and chat with your friends on your phone (via Google Play). Do you just want to chat with your Steam friends on your Chromebook? You don’t need to install it and go through this whole process. You can do that simply by using the Steam app for your smartphone. You can grab it here. If you need to use your laptop to chat, you’ll have to use a previous method to get it to work. You could also try third-party apps to forward your messages. Pushbullet comes to mind, but I’m not sure you can configure it to support chat services. The Steam Enhancement app offers many cool features when browsing the Steam website (via Google Play). This app is made exclusively just for your Chromebook or Chrome OS device. You simply add it from the Chrome Web Store and it attaches to your browser. It provides a whole bunch of Steam improvements for your device when you visit the official Steam website. It doesn’t actually change the website itself. It just adds a bunch of neat features to your browsing experience. Note that this won’t let you run Steam on your Chromebook. It simply enhances your visit to the Steam website when you’re browsing around. Still useful though for shopping, price comparison, and other data-collection stuff because it’s like a tracker just for you and your game library. Nonetheless, it’s pretty awesome and makes the experience very convenient and handy. If you buy stuff from their store often, just get this app. It’s definitely worth the install if you’re running Chrome OS. Impressive stuff. You probably need to see it fully understand how useful it can actually be. You can grab the Steam Enhancement app here. Did you screw something up? If you think you broke something, don’t worry a bit. Chromebooks are very versatile and the developers have thought about other developers wanting to do some “fun” stuff on their devices once in a while (or all the time). So they’re designed to easily restore to factory settings and everything will be reverted back to like when you first turned it on. All you need to do is perform a Powerwash and you’ll be given a fresh, clean slate to work with. Your device will wipe everything and start over with just the default apps installed. And bugs, corrupted files, or errors will be deleted and only the verified Chrome OS files will be used. As long as you made a backup, you should be fine (remember at the beginning you were supposed to?). You can easily import your saved files back into your hard drive by connecting your external storage or downloading it from a cloud provider. It’s that easy. You can’t really “brick” a Chromebook. You’ve now installed Steam on your Chromebook. Congratulations! Well, there you have it. Congrats. Three methods to install Steam on your Chromebook. You’ve just learned three methods to install Steam on your Chromebook. If you can’t get any of them to work, I’d suggest using a video tutorial or directly contacting a friend who can help you out, as some of it can be very technical. Be sure to also double-check that your Chromebook can run Steam in the first place. If it’s not Steam-compatible, it won’t work no matter how many tutorials you read. You can read the requirements in the first section of this tutorial. If you found that this guide has helped you, consider telling one other person about it. Go ahead and start downloading those games to your laptop. Don’t forget to back ‘em up. If you have any questions or tips, add them to the comments. Or simply leave a “thank you” comment if this guide has helped you. I’ll be glad to hear about it. And consider telling a friend about it as well. Sign up for email updates if you want more awesome guides and stuff like this. Thanks for reading. Now go get gaming already. What are you waiting for? The Samsung Chromebook Pro Is Almost Here. Will It Impress or Disappoint? What’s New in Chrome 57? Notifications, Badges, and a New UI. I enter the command and the first time I did it gave me the three numbered lecture points about online safety, but then it just says “sh: 0: illegal option -~” right after. I re entered the command and only got that “illegal option” bit. What should I do? Is it installing? I have no password prompt yet?? For some odd reason, my computer lets me get up to step 3 and then it doesn’t understand anything that it’s supposed to be doing. My Chromebook. isn’t even a Samsung Chromebook. So ot turns out that Steam only supports KDE, Unity and gnome. I have it on xfce Does Antonie else had This problem? Just wanted to leave a comment saying thank you very much! Your instructions are spot on – I was able to get everything installed with no issues on an acer chromebook 14 first time around. Unfortunately the laptop crashes every time I try to load a Civ game lol but regardless great job dude! Stoked you got it working on your Chromebook! Did you get an error specifically for Civ when it launches? It could be a compatibility issue or resolution/graphics driver problem. But even if that game doesn’t work, there are plenty of other Linux-based goodies you can try out! Regardless, thanks for your kind words. This is why I write! Thanks again. And let me know if you have any other questions! No prob! Yeah pretty sure the laptop just can’t handle Civ, I can get other games going. The title screen loads but when trying to start an actual game it craps out on me. But I was seeing all these comments of people having issues with this and that and wanted to put my two cents in that your guide is 100% correct, from my experience at least! so linux already came with the chromebook and it’s on. i’m in developer mode already. when i go to download steam what exactly do i download? the only deb file is steam_latest.deb but it says it’s not supported. 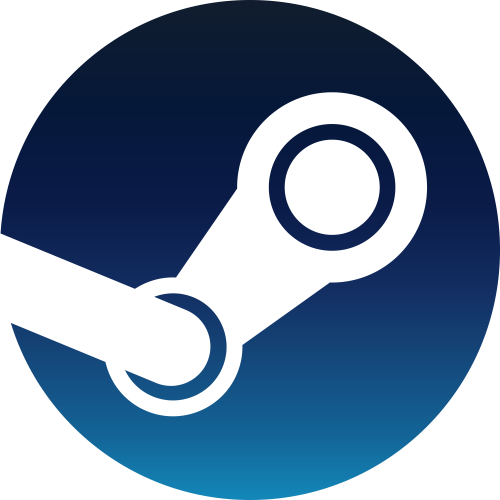 If you have Ubuntu, you can download Steam directly from the Ubuntu Software Center, which should’ve been installed by default. It’s pretty much like a “Chrome Web Store” for programs. You can launch the USC and do a search for Steam, then just click the “Install” button. Be sure to type this within the command prompt (“CTRL + ALT + T”). I downloaded Crouton twice and then typed in the command shell, but i keep getting the message saying ERROR: unknown command : shell. This is likely due to the laptop not being in Developer Mode. You’ll have to enable Dev Mode for the Chromebook to recognize commands, which usually throws that error. This should fix the issue. Lemme know you’re still stuck. I pressed control alt t and tried to use shell but it said that there was no known command. I used your method on my Samsung chromebook pro, and it works fine. I’m enjoying Broforce on it. Thanks for your tutorial. I’m stoked that you got it working! Broforce is a game that I need to grab soon. Been looking forward to that but never pulled the trigger to buy it! And thanks for your kind words. You’re very welcome! This is why I write! whenever I type in the commands, it says “sh: 0: Can’t open /home/chronos/user/Downloads/crouton” I went through all the instructions and downloaded Crouton, is there something in the middle I had to do? Try deleting the Crouton file and downloading it again. Then try running the code once more. Let me know if that doesn’t work! You can skip everything up until the actual installation of the game. Grab the Minecraft.deb file from here.. Then run the .deb file and install it. After that, get JRE8 and you should be good to go. When I typed in “sudo sh -e ~/Downloads/crouton -t xfce -r trusty” it just says “sh: 0: Can’t open /home/chronos/user/Downloads/crouton” what should I do? Are you in Developer Mode? What happens when you type “shell” and hit Enter. Do you get an error? What Do You Do To Clear Up Disk Space? I Can Download TF2, But It Needs 21526 MB, But I Only Have 6527, How Do I Clear Up Space Without Deleting Anything Important? What kind of Chromebook do you have? You may not have enough disk space in general to install the game. It’s asking for about 22GB of free space, and your laptop only have about 6GB free. Even if you delete everything you possibly could, you may not have enough space to get TF2 on your Chromebook. I suggest reinstalling Steam on an external SD card. This way, you can install all your games on there without taking up space on your Chromebook. the letters don’t show up when you type, but you just type your password and press enter. If you type the wrong password it will tell you & prompt you again for your password. So, my problem is that I can get to linux just fine. But, when I go back to chrome I can no longer enter linux. I’ve tried using enter chroot, startkde, and using the cntrl, shft, alt arrow thing. I always end up just stuck with no way to easily return. Is there any way to fix this? Thanks. Do you have Developer Mode enabled? Are you using a personal Chromebook? You may have a Chromebook that’s enrolled in a school or work network. These laptops are controlled by your school or work’s network admin and will have Developer Mode disabled by default. There’s no way around this as far as I know and you’ll have to get in touch with the admin to have it enabled. You may want to refer to this guide about resetting a managed Chromebook. help I’m kinda stupid. my Chromebook won’t stop telling me command unknown when I type in the command or shell and I’m lost. I’ve retyped it 5 times already but it won’t work. When you see the ToS pop up, hit Tab and press Enter. Then it should install automatically. Also, I’ve done every step and have steam launched, but when I try to launch a game, it won’t open. The color inversion seems to be a new bug due to a recent update and users have reported that they need to restart/reboot Linux in order to fix it. I suspect that it’ll be patched eventually, but for now, I can’t find a permanent solution. In regards to the games, are they marked as fully compatible with Linux on Steam? And after you try to launch it, does it throw any errors on the console? Could you copy/paste them here? When I switch from Linux to Chrome OS the display color is different, it looks almost inverted and is easily fixed by changing the display settings but I’m worried, is this normal? How long does the download usually take? Because I am slightly worried I did something wrong. The download for Linux takes up to 20 minutes depending on your connection and hardware speed. The Steam download itself takes a bit more time, but you should see updates in the command prompt to let you know what exactly it’s doing. Let me know if have any other questions. Hey! It was all running smoothly I got xfce linux and could easily switch between operating systems. I installed steam with no problems but I cant find how to launch steam. Congrats on making it that far! Steam should be in the menu bar. Look for Applications > Games > Steam. You can also search for “steam” in the search bar when you click the Ubuntu button. You can also launch Steam with a command if you’re still stuck. Let me know if you can’t get Steam going. What errors do you get? Can you copy/paste them here? Is that the only error output you get even after punching in those lines? It seems like all you need to do is install the library and you should be good to go, but there may be another problem here. I have a few other alternative solutions to get Steam if that’s not working. And then hit the Tab button and select “YES.” Read all the terms and conditions, agree, and install. Steam should then show up under Applications > Games. Hmm, the direct command didn’t work either? Some of the comment replies aren’t showing up properly, so I apologize if I missed one of your comments. You can download it directly from Steam using their Steam.deb file available here. Look for the Linux link and it’ll save to your Downloads folder. From there, you can use the guided wizard to download the client. It should then show up in Applications > Games > Steam. I have tried both using the .deb file and running sudo apt-get update followed by sudo apt-get install -y steam and sudo apt-get install libc6-i386 all to no avail. I think the problem lies in that when I type sudo apt-get update I get an error sating that Some index files failed to download. I tried switching servers from main to regional but when I went to the Ubuntu software tab in software and updates the only option is their main server. When I try to launch Steam I get an error message which says that “You are missing thw following 32-bit libraries, and Steam may not run: libc.so.6”. Let me know if you’re still stuck or if it throws an error (post it here). hey! i just installed the linux stuff and did the developers mode and all and im kinda panicked because when i turned my computer on and then off again the same fullscreen warning came up. i tried to press ctrl d to go to developers mode but it said it’d erase all my data again, and i don’t want to have to reinstall linux and steam. what do i do??? Can you switch between Linux and Chrome OS easily? You sure can! You can have both Linux and ChromeOS running at the same time and switch between them using “CTRL + SHIFT + ALT + Forward/Back Arrow” to switch instantly! Note that the arrow keys are the ones at the top of your keyboard, not the keypad! Hi! I’ve had no problem with vt switching in the past, but now after updating ubuntu I am brought to a blank dark screen when trying to switch back into chrome. The only way I can get back to chrome is by going to the chrome recovery screen which turns off linux X server and refreshes all of my chrome tabs. Please help me. Can you switch the Chromebook back to normal Chrome OS, when it’s in Linux? I’ve tried playing 3 different games. None of them have worked. Is that normal? I finally got everything downloaded! Of course Tattletail, the game I wanted, isn’t compatible with the operating system. Anyway, Quick question… do I have to continue using developer mode from now on when starting up my Chromebook? Will I lose Steam if I open my Chromebook in there regular mode? You’re awesome. Thanks so much! No problem. Let me know if you need any other help =]. When I type shell, it says that the command isn’t recognized. What’s the exact error readout? Copy/paste it here and I’ll try to help you out. That’s an error meaning you’re not in Developer Mode. You need to enable it first in order to run commands. Here’s a tutorial you may want to refer to. It covers the process in detail. Really great writeup! Followed the instructions without a hitch. I installed xfce4 on a Lenovo N20 Chromebook and it works like a charm. No problem. Glad you got Steam installed =]. Thanks for the kind words. This is why I write. I did everything, and now I’m trying to save ‘steamapps’ to my SD card or USB drive. But they both dont show up?? If you’re talking about how the cursor doesn’t move when you input your password, it’s normal. It’s a security measure built-in to Ubuntu. As you type, the cursor on-screen won’t move but you’re actually registering a password! So just be careful what you type because it’s kinda difficult to recover a forgotten password. wait i think i know what’s wrong, it’s because i don’t have ~ on my key board and Ctrl + C than Ctrl + V doesn’t work. how do i fix this? Which command are you having trouble inputting? Which Chromebook model do you have? They should all be equipped with the tilde key (~). Some layouts are a little different though, so you may want to double-check to make sure it’s not a function “FN” key that you could be overlooking! found the key but it says it Can’t open /home/chronos/user/Downloads/crouton and i tried deleting crouton-master.zip and downloading it again but it still says that. can you tell me how to fix this? i found the key but it says it Can’t open /home/chronos/user/Downloads/crouton and i tried deleting the crouton-master.zip file and downloading it again but that dosn’t work. can you tell me how to fix this? I made the mistake of not looking into the touchscreen support command until I had already started downloading Linux. Is there a command to add this in later or will I have to start over? Yes, I believe you can! I’ve never tried it on a Chromebook but it should work in theory by just downloading some drivers. The restart Linux and touchscreen should be added. Let me know if it doesn’t work. Hmm, has Linux been properly installed? Or have you created a password for it and then it somehow deleted? Or did it revert out of Developer Mode instead? Try going into Chrome OS and launching the command prompt “CTRL + ALT + T” and then typing “shell” and hitting Enter. Do you get an “UNKOWN COMMAND” error? I’ve been typing in the original password that I put in, but it keeps saying that it’s incorrect. Is there any way to fix this without resetting my entire Chromebook again? Is anyone else having the problem were it asks you to type in a password after the “sudo sh -e ~/Downloads/crouton -t…” command, but when you type it in, it doesn’t register? Are you talking about when it prompts a password but as you type nothing appears? This is a security feature built into Linux. The cursor doesn’t move as you type, but it’s actually registering every key you’re inputting! Just be careful as you type because it’s very difficult to change your password later. Hey I’m having the same issue as Glenn was having. I input the correct code the first time and got the lecture prompt that he had gotten the second time. I never got to create the password yet and now I’m stuck getting the cant open prompt. Any ideas? Do you think you could write a quick and short bullet point list of what you’ve done so far to produce the error- all the way up to the command you’re inputting and the error readout? It seems like this is a common issue people are having with Steam and Chromebooks recently. It’d help pinpoint the problem so I can find a solution and post it here for everyone who’s having the same issue. Would running Ubuntu from a usb drive be an issue with trying to use Steam on my Chromebook? It shouldn’t be any problem, but it’ll take a few extra steps to set up. It’s definitely possible to get Linux running on your Chromebook via USB with Steam, but you’ll just need a fast USB 3.0 flash drive that’s always plugged in. That’s about it. Let me know if you have any other questions =]. Hi – I’ve downloaded everything but when I open the steam launcher, the only options are to reinstall the package or to remove it. How do I get to steam from here? Hmm…do you know if Steam has actually installed at this point? Like is it visible on your home menu? If not, I’d try reinstalling it. And if that doesn’t work, let me know and I’ll give you some commands to run. Probably worth mentioning Steam Link. Valve just released the Steam Link app for Android, which means you can natively download it from the Play store on your chromebook. You’ll need to be running steam on a ‘real’ computer to stream from, but it’s a perfect fix for anyone with a windows desktop + chromebook setup. Thanks for bringing that up! This should definitely help out some people who want a quick solution =].